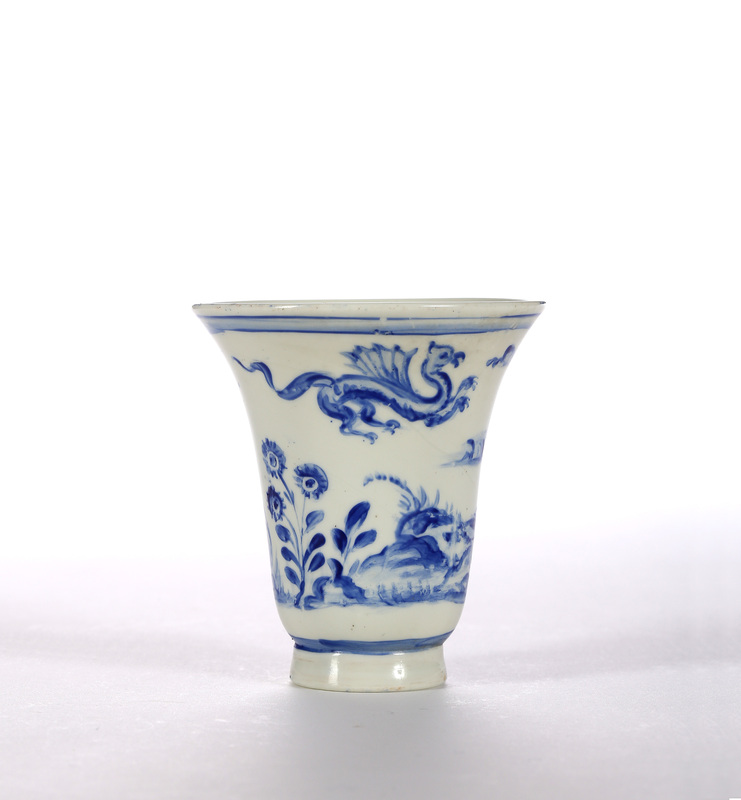 Decorated in blue enamel with a dragon flying above an oriental man lying under a palm tree. 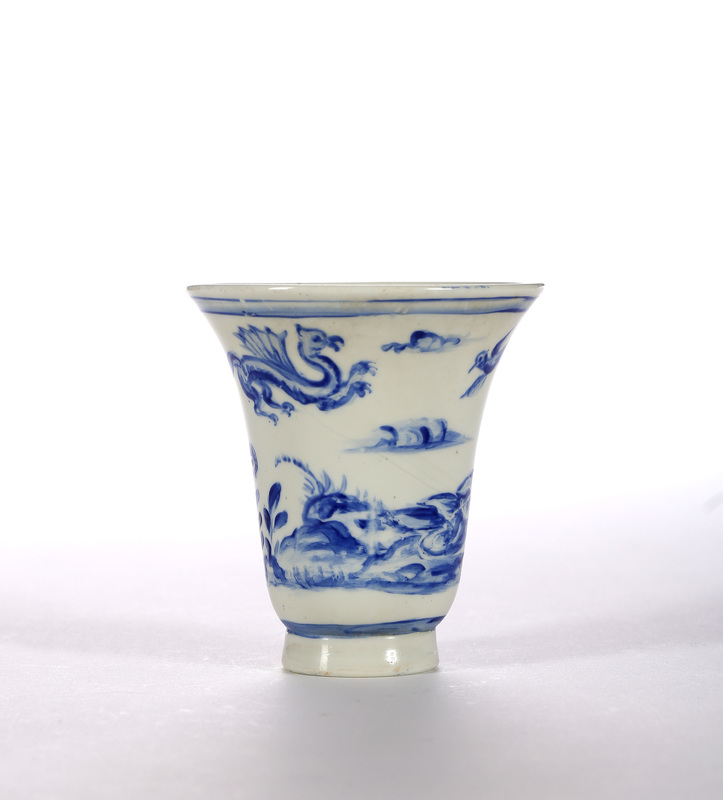 The earliest imports of Chinese porcelain to La Serenissima had challenged the Venetian glass blowers to imitate it. 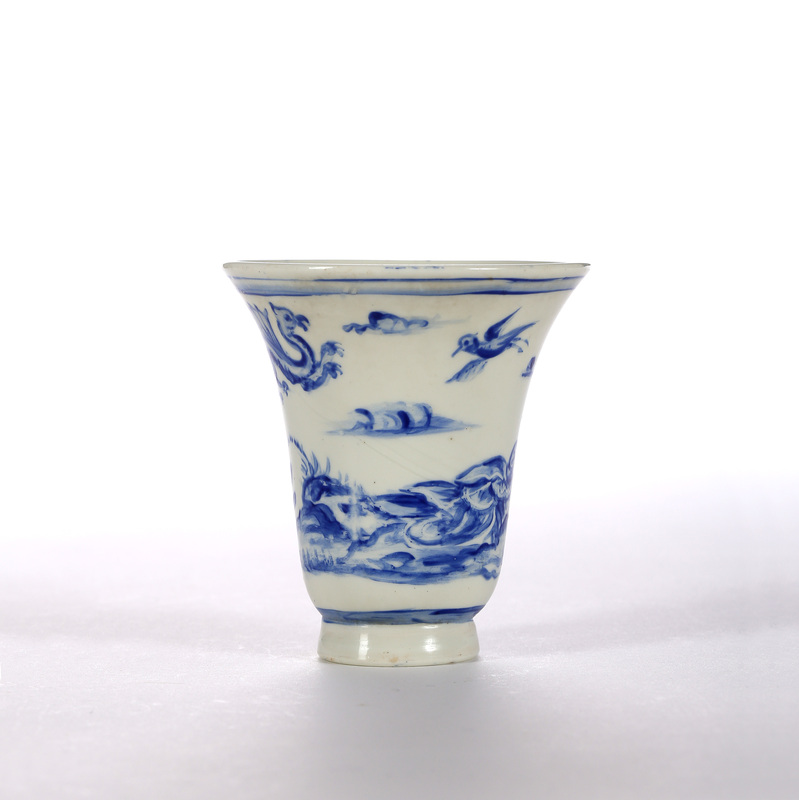 Glass opacified with tin oxide had been mastered by the fifteenth century and was as close as they could get. 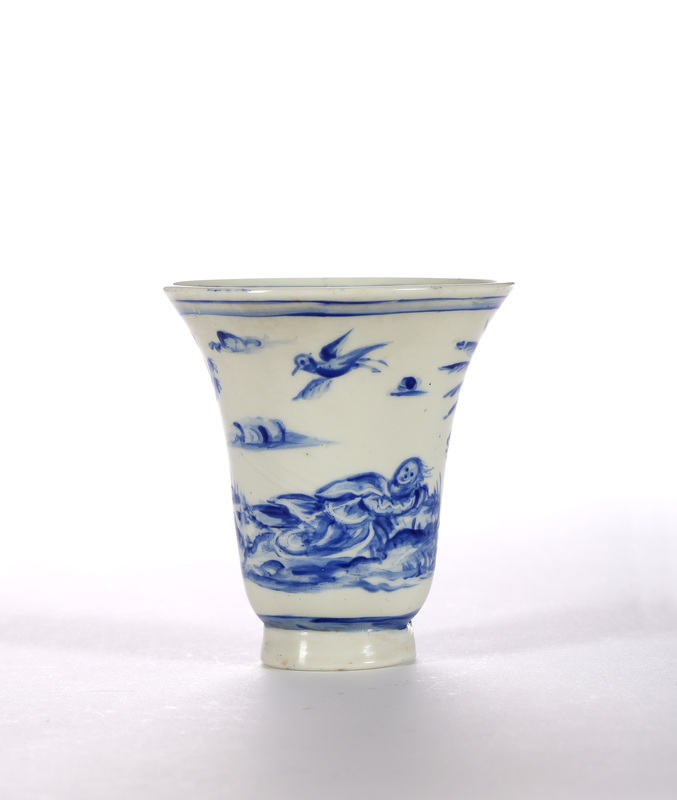 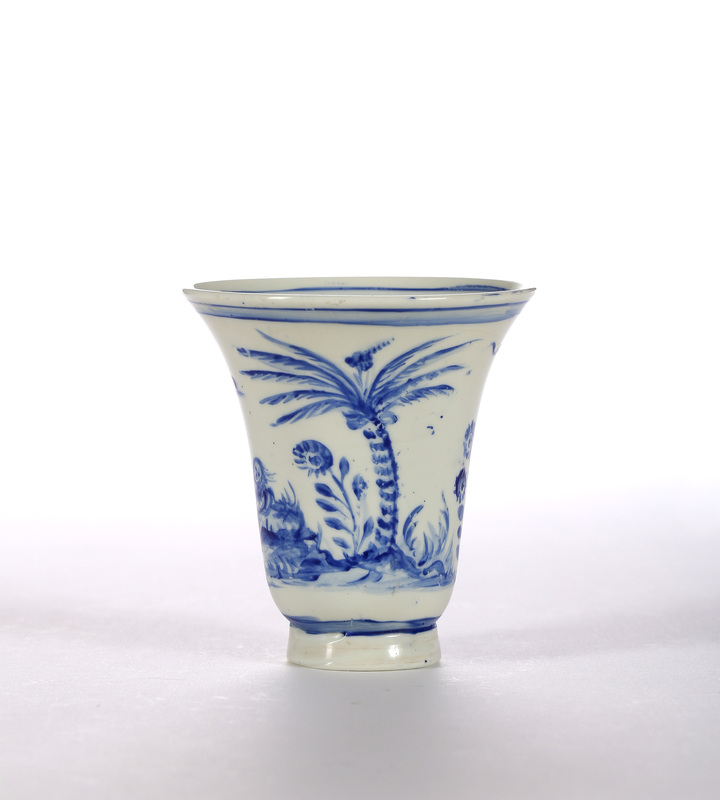 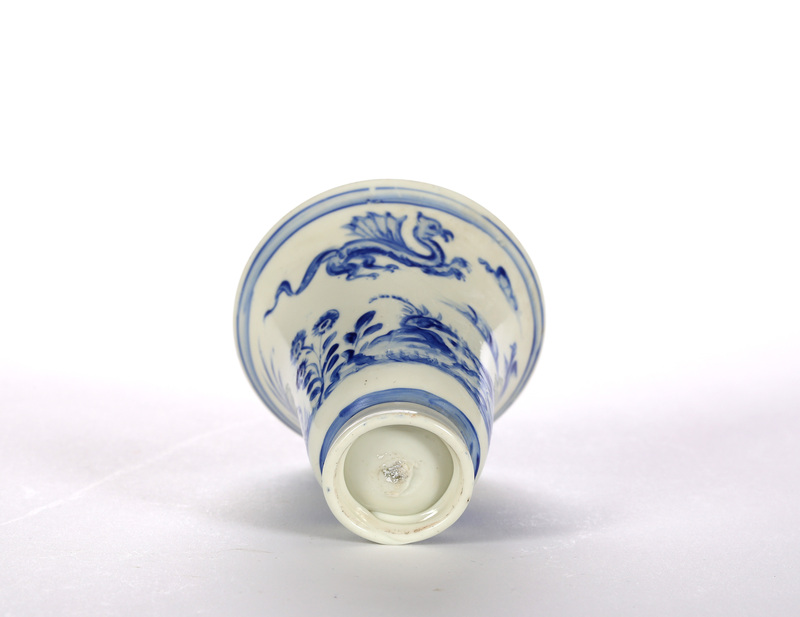 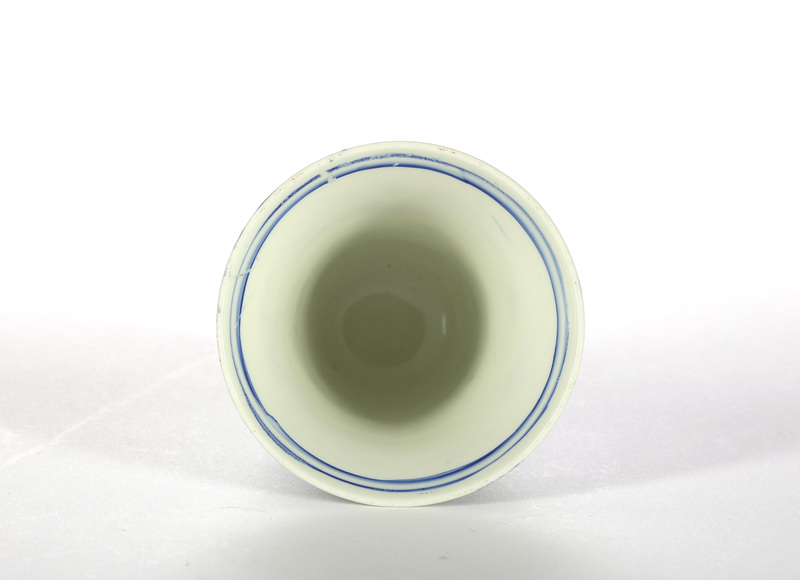 By the early 18th century the secrets of porcelain had just been rediscovered in Europe and so this beaker must be a wistful tribute to the mastery of the East.